Spätestens seit dem 17. 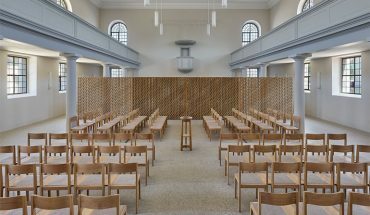 Jahrhundert hat Architektur die Aufgabe, bauliche Monumente für zentrale staatliche Institutionen – und später für ihre privaten Pendants – zu schaffen. 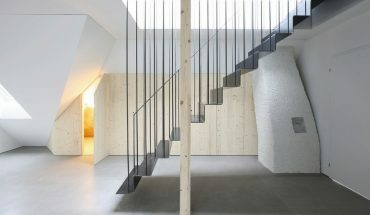 Wie schwierig und zugleich perfekt machbar es heute ist, den sozialen, politischen und ökonomischen Status quo architektonisch abzubilden, zeigt Rafael Moneos Erweiterung des Prado: bescheiden, fragmentiert und selbsterneuernd. Das grundlegende Problem war klassisch: Wie lässt sich ein Monumentalbau wie der Prado erweitern, ohne seine Logik zu zerstören? 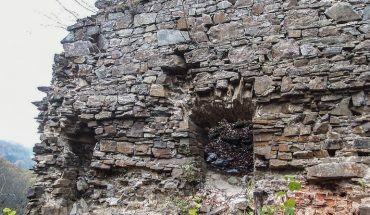 Die einzig vernünftige und jetzt endlich umgesetzte Lösung, das benachbarte ehemalige Kloster einzubeziehen, kam schon vor 25 Jahren auf. Die Erweiterung lässt sich mit einem Eisberg vergleichen: über der Erde zwei Elemente – ein (nutzen-) entleerter Raum, der Klosterhof, und ein Kubus –, darunter ausgedehnte Raumfluchten. Diese dienen den in heutigen Museen so essenziellen Funktionen wie Garderobe, Café, Buchladen und Vortragssaal und lassen sich außerdem, abgeschlossen vom Museum, für Abendveranstaltungen vermieten. Damit bleiben die Haupträume des Altbaus ganz Monument, mit dem neuen Bereich durch eine leicht labyrinthartige Raumfolge jenseits des Eingangs verbunden. 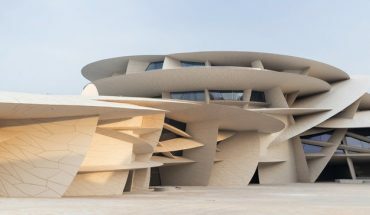 So kann der Museums-»Motor« reibungslos funktionieren, ohne den Kunstgenuss zu beeinträchtigen. Moneo hat ihm denn auch räumliche Großartigkeit und die formale Brillanz eines guten Flughafens und anderer Publikums-Verwaltungsräume verliehen. Kritik verdient vielleicht die verschlungene Wegführung, die keine klare Standortbestimmung ermöglicht. Möglicherweise war das Absicht, um sich nicht in eine Diskussion um die veränderte Rolle und Typologie von Museen zu verstricken. 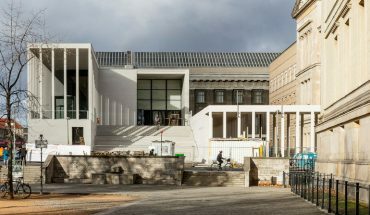 In jedem Fall aber hat Moneo ein bombastloses Museum aus unterschiedlich proportionierten Räumen mit jeweils eigenem Charakter und Maßstab geschaffen, das den Altbau sowohl erweitert als auch seine Relevanz untermauert. You know something is important because it looks like architecture, and architecture makes things look important. The role of architecture since at least the 17th century has been to create monuments. Defined as a profession under Louis XIV and developed under the aegis of the central state, the discipline of architecture has dedicated itself to the production of appropriate shelters for the central institutions of the state (and later its privatized counterparts) that fix the values of the social, political and economic status quo in visible place. In this way architecture persists in time and reminds us of past achievements. It does so by using history (social memory) and private memory to make the grand, the new and that which is by definition outside of our daily lives seem like it belongs in a place. 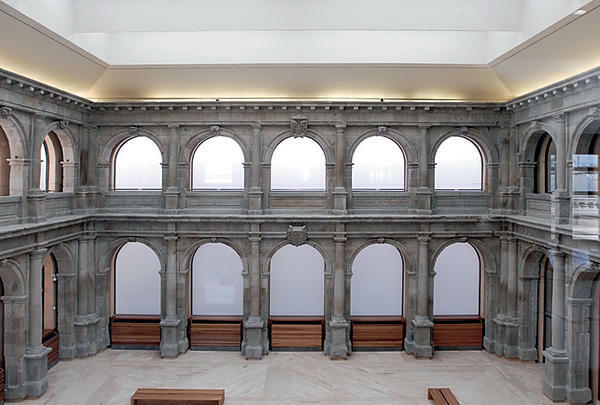 The recent addition to the central treasury of Spanish culture, the Museo Nacional del Prado in Madrid, shows how difficult, and yet how absolutely possible, such a form of architecture is today. 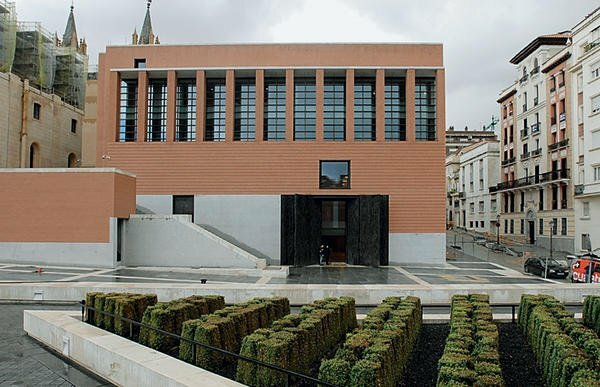 Designed by the de facto State Architect of Spain, Rafael Moneo, the Prado addition is the result of decades of pent-up demand and a long and tortuous design process. The basic problem has been a classic one for monumental architecture: the original building, designed in 1785 by Juan Gomez de Mora and extended by Juan de Villanova in 1853, had long ago reached the limit of what could be added onto it without denying its logic, and yet it was woefully undersized for both its collections and the vast crowds that come to see these works of art. Hiving parts of the collection off to the Reina Sofia had alleviated only part of the problem. Moreover, the building sits on a major avenue surrounded by park and historic structures. In the early 1980s, the idea of expanding by taking over the abandoned monastery behind the Prado began to dawn on the powers-that-be as the only viable avenue of expansion. Political and social pressures, as well as changes in administration, have delayed the completion of the project until this year. What Moneo’s addition shows is that monumental architecture these days must be modest, fragmentary and self-effacing. In an era of universal access and fragmented democracy, power must assert itself with a certain amount of guile to be able to survive. It is also an era in which art and culture are among the few central myths that still stand. Thus Moneo has reduced the new architecture of the state to a void and an object. The first is a strangely useless sculpture court in the shell of the old monastery. The visitor will reach it at the end of a vertical sequence of new temporary exhibition galleries stacked up behind and across a plaza from the old building. Once there, she will be able to marvel at the glories of the past buttressed by new concrete and steel, transformed into a place of aesthetic enjoyment by the presence of air conditioning. Royal statuary will inhabit the old order preserved by the new. Having observed this, all the visitor can do is to retrace her steps back down into the new. 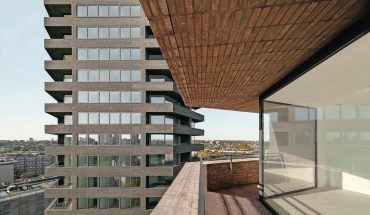 Against this old thing made new Moneo has posed his new thing cloaked in the old: a brick-clad object that houses mainly back-of-the-office functions. It is a block with the hint of an arcade and artfully off-center windows. This new monument is a classically based, beautifully modernist ruin in the mode of the architect’s nearby Atocha Train Station. Strangely reminiscent of a Nordic, stripped-down neo-classicism, it is the reduced and essentialized version of the Prado’s own brick box with stone veneer, as well as of the Fascist-era Trade Union Building across the street from the museum. 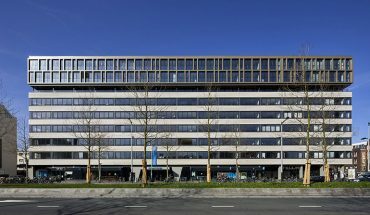 Here the monument is the remains and the building blocks of power at the same time, a mute and neutral, but elegant essence appropriate to the age of decentralized bureaucracies. The ruin and the block are the two most visible elements of the Prado’s extension. 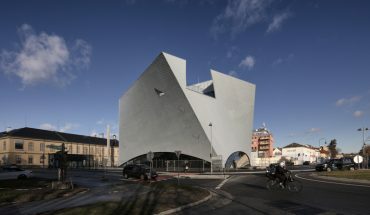 They integrate the structure with its site and the neighborhood beyond and stand as the symbols of the old and the new. 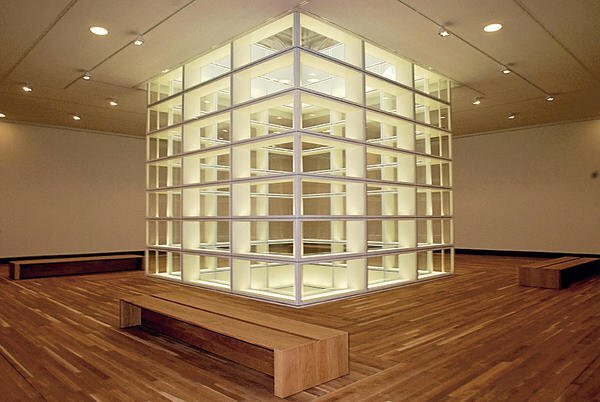 In an elegant moment, the light from the sculpture court moves down a central light well to illuminate the two levels of neutral, square, 500 square meter galleries for temporary exhibitions below. Oak floors, bronze window surrounds and careful detailing marred only by the shoddy construction that these days bedevils any attempt to make monumental architecture, give importance to the very orthogonal spaces and justify the almost 200 million Euros the government is said to have spent here. The things on the hill are just the tips of a museological iceberg. Most of the work occurs within the old museum and under a new plaza connecting the new to the old. Moneo has turned the entrance from the far end of the pavilion back to its center, so that one will enter again through the so-called Velazquez Gate. As has become common in many museums, the actual and extensive work of processing visitors will take place in this lower level, before they will be released to the piano nobile above to experience the formal sequence of rooms with their great art. Thus the old building’s main spaces will be wholly monumental. These functions extend beyond the old building through a slightly maze-like sequence of rooms beyond the entrance, painted Roman red to enhance their importance, into a vast new space underneath the plaza. 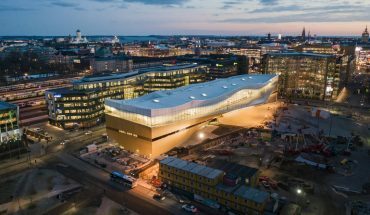 There the visitor will find the panoply of services that are now part and parcel of the museum experience, including coat check, café, bookstore and auditorium. In keeping with current thinking about how museums operate, this section can also function independently of the museum for evening lectures or income-generating rentals during off-hours. 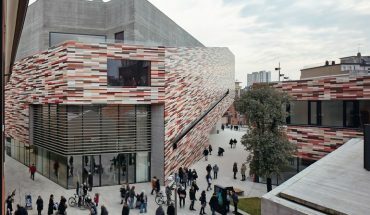 Moneo has suppressed the importance of what is essentially the engine of the museum visit below the ground and behind the old building. This is not to say that he has not given it a spatial grandeur all its own. Filled with light and covered with granite, these spaces have the formal splendor of the best airports and other places of gathering and processing at the core of our modern society. With perhaps a hint of irony, the space’s main point is a vanishing perspective generated by the angle of the dominant geometries of the Prado and its new addition, which the architect chose to emphasize with a large window looking out towards the adjacent Botanical Garden. The point of this in-between space is to disappear. A practical point of criticism is that the routing through old and new is circuitous and difficult to follow. A young architecture student acting as a museum-appointed guide ventured that this was a very Spanish form of organization. »This is a series of spaces you discover, as in the Alhambra, not one of those obvious French marches,« he sniffed. Aside from the irony of a national architecture based on Moorish sources, the point about the lack of point is a good one. Moneo has managed to avoid the sense of bombast and of being processed as part of a herd of art consumers so common to many new museums. 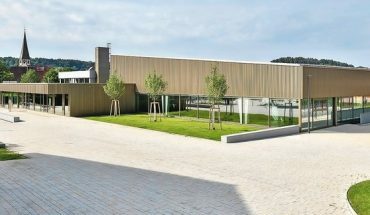 Instead, he has given the Prado a sequence of new spaces, each with its own character, scale and geometry, that unfold a new kind of art institution out of, underneath and beyond the confines of the museum’s neo-classical monument. That he cannot bring his additive elements to make a clear point, to stand for something of their own, or even to stand on their own, may be a deliberate choice. Or it may be a refusal to engage in any kind of critical engagement with the changing role and nature of art museums. The effect is the same. The enhanced Prado affirms and extends, piece by piece, the monument of the museum. It is itself a museum of monumental architecture. Aaron Betsky ist Direktor des Cincinnati Art Museum. Davor leitete er das NAI und war Kurator für Architektur, Design und Digital Projects am San Francisco Museum of Modern Art. 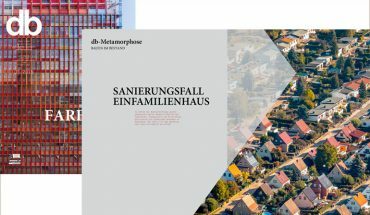 Als ausgebildeter Architekt hat er rund ein Dutzend Bücher über Architektur und Design verfasst, zuletzt »False Flats: Why Dutch Design Is So Good« (2004).